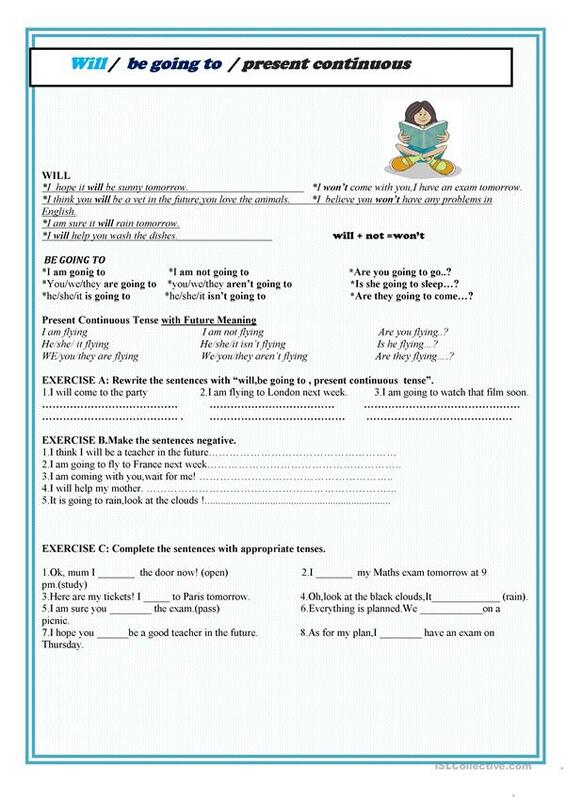 It's a good way of comparing future tenses with simple exercises and a brief description. This downloadable teaching material was created for elementary school students at Elementary (A1) level. It is great for consolidating Future tenses in English, and was designed for developing your learners' Writing skills. berrinozturk is from/lives in Turkey and has been a member of iSLCollective since 2012-04-09 13:48:35. berrinozturk last logged in on 2012-04-09 13:48:36, and has shared 1 resources on iSLCollective so far.